Last night, Pennsylvanians saw Democrat Conor Lamb obliterate his Republican challenger in a televised debate that aired on television sets across the east coast. Lamb is seeking to build on an incredible string of successes for Democrats, liberals, the “left,” progressives, activists, the Resistance, and the majority of Americans horrified by the election of and subsequent regressive actions by Donald Trump in November 2016. Indeed, 39 legislative seats held by Republicans have already been flipped since Trump’s inauguration, with the regular mid-term elections still months away. 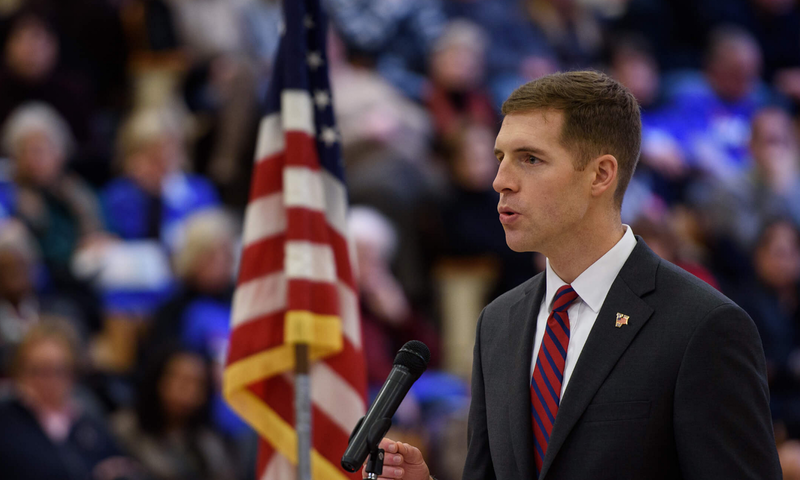 Nevertheless, Conor Lamb has his eyes set on the United State House of Representatives, which is the only governing body with the ability to impeach the President of the United States, and is currently controlled by Republicans who have projected an unwillingness to hold the president accountable. At 33, Conor is young, he has a fresh perspective, and he’s seasoned in his own right. A former Assistant U.S. Attorney and a Captain in the U.S. Marine Corps with an aggressive take on fighting the heroin epidemic, end lifetime student debt traps by predatory student lenders, and national health care. Lamb will seek to fill the seat left vacant by Republican Tim Murphy, who resigned amidst a scandal in which he was caught asking his mistress to have an abortion, despite his hardline anti-abortion stances. Murphy was repeatedly named one of the most corrupt politicians in Congress by the Citizens for Responsibility and Ethics in Washington. The seat has been held by Murphy since 2002, when it was redistricted by GOP legislators, who we now know have been engaged in a long practice of illegal gerrymandering in Pennsylvania, according to the January ruling of the state Supreme Court. Pennsylvania is also one of three states whose electoral votes decided the election for Donald Trump, despite Democratic candidate Hillary Clinton winning the national popular vote by a substantial margin of nearly 3 million and there being clear evidence of voter suppression and Republican gerrymandering in the state. Donald Trump won Pennsylvania with a paltry 44,000 votes. Bros4America has a rich tradition of phone-banking. We helped phone bank for Ralph Northam’s (successful) gubernatorial bid in Virginia and ended the 2016 election cycle as one of the top 10 call teams in the nation for Hillary Clinton. You don’t have to live in Pennsylvania to start making calls for Conor Lamb NOW. Register to make calls for Conor Lamb. Special election date is March 13th! So get calling! Mobilize America is hosting canvassing events and get out the vote drives in Pennsylvania’s 18th Congressional District from now through Tuesday March 13th. Pennsylvania residents living in the 18th (or outsiders who don’t mind the road trip) should register now and get involved. Follow Conor Lamb on Twitter @ConorLambPA or Bros4America @Bros4America.